Hi Guys! I'm finally finding a free moment to post some of my research from my Spring semester of my Master's AIP program work! I did a study on cheetah conservation, albeit, not in person! I did a ton of technical research though in efforts to find the key to maintaining cheetah populations both in the zoo and in the wild. It is a very complex subject! Read it if you like and you will learn something about one of our most revered felines! All material is copyrighted and cannot be reproduced or used without my express permission. Cheetah Major Histocompatibility Complex: The Key to their Future? Cheetahs have existed for millions of years, yet today find themselves on the brink of extinction in the wild. Large ranges, solitude, lack of protection from predators, low birth rate, high infant mortality and low genetic variability have all led to the demise of this creature. Recent efforts to conserve cheetahs have focused on molecular techniques and the determination of the Major Histocompatibility Complex (MHC) and other allele variability. While various methods of DNA molecular technology have been used, controversy exists as to whether or not these findings will lead to better conservation methods in the future. In this paper we will discuss MHC studies which involve both captive and wild cheetahs. Results of these findings are presented with further discussion on newer techniques on the horizon and their potential for leading to greater cheetah captive breeding and release into the wild. 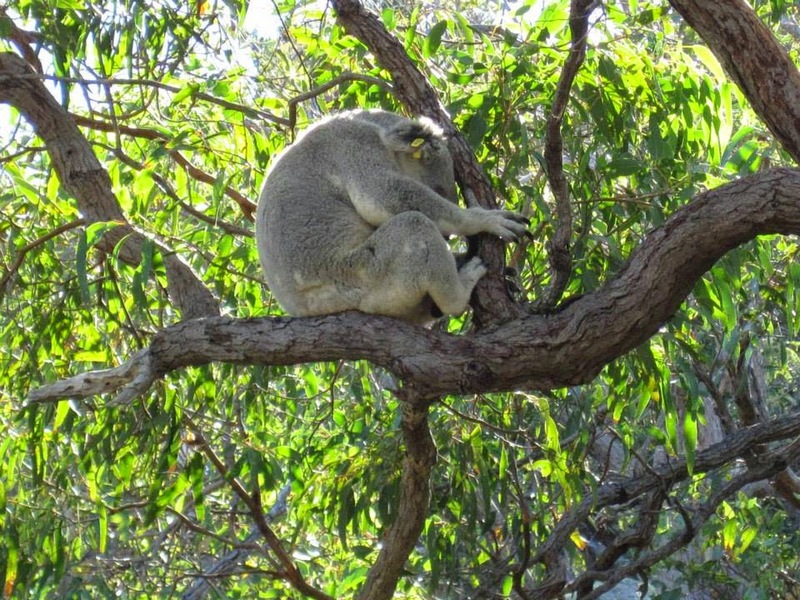 Molecular techniques can be costly and the vested interest of financial donors would be beneficial to further studies and positive conservation work. Lastly we discuss the use of the EcoSpot and it’s use of engaging the public in this fascinating topic. While there are 37 species of cats in the Felidae family of cats, all but housecats are either endangered or extinct. The biggest reason for this dramatic decline is the fact that these 36 species of cat need very large ranges in order to exist. For example, a single tiger can span a range of up to 400 miles while cheetahs can wander a range of up to 600 miles wide (O’Brien & Johnson, 2005). The African cheetah (Acinonyx jubatus) once inhabited all of Africa, extending towards the Middle East and into part of the subcontinent of India (Drake et al., 2004). Being the last member to survive from the genus Acinonyx, the cheetah has other factors involved that also lend to further decreases in population. They have exceptionally low-density ranges due to their being very solitary animals. Also, their cubs have a very high mortality rate, close to 70%. Various factors go in to this high mortality rate including maternal neglect, being very susceptible to diseases as well as cubs having insufficient defenses to protect them from any predators. 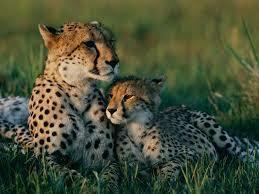 Lastly, up to 71% of male cheetah sperm has abnormalities and is not functional. The ejaculate is more than ten times less concentrated than seen in domestic cats (O’Brien et al., 1985). African cheetahs in captivity, especially the young cubs, are particularly susceptible to disease including their biggest threat, the Feline Coronavirus, which is the deadliest virus these cats can face (O’Brien et al., 1985). Cheetahs in north central Namibia, as well as to a lesser extent in eastern central Namibia, are in addition exposed to such viruses as FPV (Feline Parvovirus), CDV (Canine Distemper Virus) and FHV (Feline Herpes Virus Type 1) due to their close proximity to urbanization and feral dogs and cats. The east central Namibian cats are further away from any civilization and thus have less exposure to these three viral threats. Molecular studies have shown that cheetahs, both free ranging and captive, show low genetic variability, probably due to the inbreeding that took place over ten thousand years ago. Low variability leads to reproductive abnormalities, greater susceptibility to disease and high infant mortality (CCF, 2012). Species with less genetic variation have been shown to have less fitness or ability to survive when faced with challenges (Wielebnowski, 1996). Hedrick (1996) suggests that there is a “cheetah paradigm” in play that due to genetic homozygosity, cheetahs are on the brink of extinction. Possible theories on how cheetah DNA lost its heterozygosity include a metapopulation theory where large colonies of cats went extinct with smaller populations of the cheetahs surviving in remaining patches. With fewer members to mix with, inbreeding occurred and the bottleneck effect on the species’ genetics led to low variation (Hedrick, 1996). Cheetahs exhibit a low level of genetic variability, especially at the MHC loci. MHC, or the Major Histocompatibility Complex, are glycoproteins found on the surface of cells, and are present in all vertebrates. They are responsible for self identity while also modulating the host’s response to emerging pathogens (Castro-Prieto, A., Wachter, B., & Sommer, S., 2011). In order for an immune response to proceed, the body must be able to identify itself by means of an antigen presenting cell (APC) and be able to identify the antigenic threat to the body system, both of which the MHC molecule is involved in. MHC Class I and II have a variety of important and overlapping roles. Major Histocompatibility Complex Class I proteins are responsible for the presentation of intracellular antigens such as viruses while MHC Class II proteins are responsible for the presentation of extracellular antigens such as bacteria. Class I gene products are responsible for helping T cells to recognize themselves while also recognizing and attacking the viral antigen. Class II gene products augment the production of B cell antibodies used to eliminate the antigen invader. There is also a Class III MHC protein which is found in the body’s complement system but this molecule will not be discussed in this review as it is not involved in the studies presented (O’Brien et al., 1985). It is through environmental and immunological pressures that MHC alleles develop in response to a mammal’s surroundings. MHC genes are the one area of mammalian systems that exhibit the process of natural selection, where the species most able to adapt are the ones that survive (Parham, 1999). Molecular studies have recently been used to gauge the variation of Cheetah genetics using various methods. Since it has been somewhat controversial as to whether their low genetic variability at the MHC loci has truly led to the demise of the cheetah, it may be questionable as to the value of molecular studies in captive breeding programs and further down the road release of these cats back into the wild (Drake et al., 2004). With this being said, it is worth examining two of the previously performed studies, their results and new molecular techniques coming up in the future which may prove to be more useful to the long-term conservation of the cheetah species. This review will describe two recent studies while describing some of the technology used and its findings. Then more current molecular techniques will be described which may lead to larger, more valuable studies in the future. Lastly, an EcoSpot and the use of video channels such as YouTube and Vimeo are examined in efforts to engage the public in this issue. Only in engaging the public are we able to find the financial donors and the man-power of volunteers needed to continue the work of the scientists. In this study, 149 wild cheetahs and 28 captive cheetahs had their blood drawn. This blood was analyzed by DNA methods to determine MHC variability. DNA was extracted, isolated and purified using a manufactured kit. Primers and oligos are genetic sequence pieces which are used either to start the transcription of the genetic material or to incorporate into the new piece of DNA respectively. These primers and oligos were designed and obtained for PCR (Polymerase Chain Reaction) thermal cycling which expands the DNA sequence to be studied through a cycle of heating (disruption) and cooling (annealing). This product is then further purified for further analysis (Castro-Pietro, A., Wachter, B. & Sommer, S., 2011). MHC Genotyping was then performed on the samples, which gives scientists the direct sequence of each strand in question. Alleles, which are genetic coding sections that code for specific protein products, were then delineated and compared for the MHC Class I and the MHC Class II-DRB locations (Castro-Pietro, A., Wachter, B. & Sommer, S., 2011). Through the use of software, MHC Class I and II sites were compared and calculated for their differences and similarities. Further work was done using statistics, including a t-test and using a Bayesian inference approach to relate species together phylogenetically. Further sequence comparisons were performed using the MHC I and II DRB genomic sequences from domestic cats (Castro-Pietro, A., Wachter, B. & Sommer, S., 2011). Sequences for such work are widely available on the GenBank, part of the NCBI website, and comparisons can be performed using alignment tools also located on the NCBI website. The NCBI website is a conglomerate of the molecular scientific community which, for example, has a listing of all the patented genetic sequences used in testing methods for such organisms as Chlamydia trachomatis or Mycoplasma hominii. The GenBank section of NCBI is a database of genetic sequences for all species which can be used in numerous molecular studies including cloning, sequencing and for the selection of base pair sequences which can be used in testing. The cheetahs studied, which were sampled from all over the country of Namibia, did exhibit all the documented alleles that had previously been observed except for one. Yet, the number of alleles that were observed was still much lower than that found for most other mammals. This study did confirm the low level of variability at the MHC Class II locus. It was however found that variation was highest in the ABS, the antigen binding sites of the MHC molecule. This area of genetic material is the most crucial in terms of being able to launch an immunologic response against an emerging pathogen in the area. Study 2 – A Study in 88 Cheetahs to Determine MHC Variation Based on Differential Pathogen Exposure compring the cheetahs of the North Central region and those cheetahs of the East Central region Namibian Farmlands (Castro-Pietro, A., Wachter, B., Melzheimer, J., Thalwitzer, S., Hofer, H. & Sommer, S., 2012). Serological studies using antibody detection were used to determine the exposure of cheetahs of the north central region and compared them to the cheetahs in the east central region of Namibia first. Viral exposure was observed to be higher in the north central region where there was increased civilization and feral cats and dogs. Feral cats and dogs increased the likelihood of cheetahs being exposed to pathogens such as CDV (Canine Distemper Virus), FCoV (Feline Coronavirus), FPV (Feline Parvovirus) and FHV1 (Feline Herpes Virus Type 1). While the wild cats exhibited exposure to these viruses, they did not show signs and symptoms of disease (Castro-Pietro, A., Wachter, B., Melzheimer, J., Thalwitzer, S., Hofer, H. & Sommer, S., 2012). Based with this background knowledge then, studies were performed to determine MHC I and II variation using molecular (DNA) techniques such as SSCP (Single-Strand Conformation Polymorphism) and sequencing. In the SSCP method, single-stranded DNA is moved electrophoretically through a polyacrylamide gel matrix. Based on structure and size, which can be different even if there is one base pair change, different strands will move different distances through the gel. This technique is most often used to detect polymorphisms at a single locus with the ability to compare different individuals who are placed in different lanes (Davidson College, 2003). Once SSCP was performed, these DNA sequences were then isolated with their allele sequences being determined using computer software. 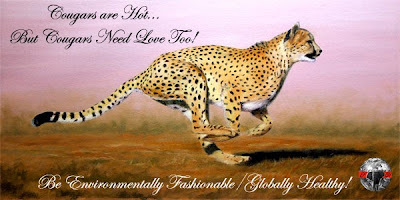 Results showed that the cheetahs from the north central region of Namibia exhibited more variability at the MHC Class I loci when compared against their neighbors in the east central region, which was located more in the countryside. There was however no detected variation in terms of the MHC Class II loci (Castro-Prieto et al., 2012). While results show that there is definitely an exchange of genetic material between the two population locations, the cheetahs do not have the variation needed at the Class I location, possibly leading to more vulnerability to certain viral pathogens. In Study 1, while low genetic variability is found in both wild and captive cheetahs, it appears that captive cheetahs prove to be more susceptible to disease or lack of adaptation to the environment. This may be due to less than favorable husbandry situations which lead to stress and lowered immunocompetence. Also, due to the cheetah’s solitary nature, their disease transmission in the wild is lowered as they are less able to come into contact with one another in order to spread diseases (Castro-Prieto, A., Wachter, B. & Sommer, S., 2011). The differentiation noted in Study 2, comparing the cheetahs in the north central region and cats in the east central region for the Class I molecule does imply that the greater exposure to various viruses has led to greater differentiation at the MHC Class I loci. This makes sense and the information may be useful in future management and conservation programs (Castro-Prieto et al., 2012). While the information provided in these two studies is useful and confirms some previous knowledge about cheetah genetics, results were also somewhat ambiguous, still leaving a lot of questions to be answered. It is still not known whether or not the lack of genetic variability at the MHC complex is directly leading to cheetah decline. Exact relationships have not yet been determined as to why captive cheetahs are so susceptible to diseases, namely the Feline Coronavirus. Therefore, more genetic studies will need to be completed. With newer technology being developed every year, better studies will be developed, hopefully providing information that will be more useful towards cheetah conservation work. It has been proposed that founding breeders should take a strong interest in working to incorporate as many different alleles as possible in any given captive species population. While this idea sounds very logical and ideal, it does not bear in mind the facts hindering this including financial and political systems at work (Miller & Hedrick, 1991). Perhaps genetic studies involving both captive and wild cheetahs will prove to be useful as it may be necessary to use different management and conservation techniques for each. Both these studies have confirmed the fact that both captive and wild cheetahs have low variability at the MCH complex. However, the importance of this fact still is unclear. While both populations exhibit the same lack of variability, the captive cheetahs appear to exhibit a higher susceptibility to disease, most likely due to their being in close proximity to one another and the ease of disease transferability. Will more MHC alleles be discerned and found to have significance? Will the MHC Class I and II molecule knowledge prove to not be worth anything at all? Only the future work of scientists will shed light on this topic down the road. Castro-Prieto, A., Wachter, B., & Sommer, S. (2011) suggest that the amount of genetic variability needed to sustain wild populations in the future is still questionable. However, molecular genetic work may prove to be very valuable in terms of selection of partnering strategies. Captive breeding strategies should never exempt the use of other techniques commonly used including pedigree considerations for long-term breeding and re-establishment of the cheetah species (Miller, P.S. & Hedrick, P.W., 1991). Molecular techniques such as cloning, sequencing, the use of fluorescent-labelled references, SSCP, PCR are all useful in determining the sequence of, the variability of and the correlation of particular genetic sequences that may be involved in the longevity of a species. Studies to this date have been smaller and may be affected by smaller sample sizes, research costs and the lack of technical skill needed to perform these types of studies. The use of public video channels such as YouTube and Vimeo has recently proven to be an effective way to communicate with the public. Not only are they easy for the average person to understand, they are stimulating, easy to re-watch and they are viewable on many different platforms including computers, smartphones, iPads, tablets, etc. They also have the ability to be shared at many different locations including Facebook, Twitter, Google+, etc. By sharing videos in these many locations, one is more easily able to reach a wider audience. An example of video being used to promote a conservation topic can be seen at the www.savetigersnow.org website which had an extensive campaign to save tigers last year. The video was created to be exciting and engaging, creating an interest in the viewer to become more involved in the campaign. For this particular research presented in this paper, we will be working to create a series of a couple of videos to present some of the topics involving the Cheetah and a couple of the DNA laboratory methods that were presented. In explaining why studying the cheetah’s DNA may help cheetahs to be genetically stronger and better able to survive while also demonstrating their role in the web of life, it is hoped that the public’s understanding of these topics will provide a greater motivation for getting involved in cheetah conservation. Through the use of an iPhone and the software Microsoft Moviemaker, video footage will be cut and edited to create the final product. These videos will then be incorporated into the Environmentally Fashionable/Globally Healthy Network which works to promote the education of the general public, namely adults, in the subjects of environmental issues, environmentally friendly clothing and fitness/wellness. It is with great hope that they will be well-received and that they serve the purpose of teaching. Castro-Prieto, A., Wachter, B., Sommer, S. (2011). 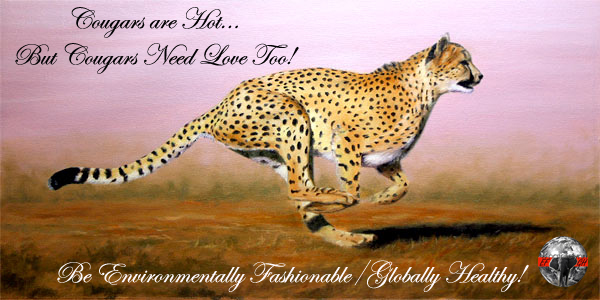 Cheetah Paradigm Revisited: MHC Diversity in the World’s Largest Free-Ranging Population. Mol. Biol. Evol. 28 (4). 1455-1468. Castro-Prieto, A., Wachter, B., Melzheimer, J., Thalwitzer, S., Hofer, H., Sommer, S. (2012). Immunogenetic Variation and Differential Pathogen Exposure in Free-Ranging Cheetahs across Namibian Farmlands. PLoS ONE. Volume 7 (11), 1-8. Drake, G.J.C., Kennedy, J.L., Auty, H.K., Ryvar, R., Ollier, E.R., Kitchener, A.C., Freeman, A.R., Radford, A.D. (2004). The use of reference strand-mediated conformational analysis for the study of cheetah (Acinonyx jubatus) feline leucocyte antigen class II DRB polymorphisms. Molecular Ecology. 13. 221-229. Hedrick, P.W. (1996). Bottleneck(s) or Metapopulation in Cheetahs. Conservation Biology, Volume 10 (3), 897-899. Miller, P.S., Hedrick, P.W. (1991). MHC Polymorphism and the Design of Captive Breeding Programs: Simple Solutions Are Not the Answer. Conservation Biology. Vol. 5 (4). 556-558. O’Brien, S.J., Johnson, W.E. (2005). Big Cat Genomics. Annual Review Genomics Hum. Genet. Volume 6. 407-429. O’Brien, S.J. Roelke, M.E., Marker, L., Newman, A. Winkler, C.A., Meltzer, D., Colly, L., Evermann, J.F., Bush, M., Wildt, D.E. (1985). Genetic basis for species vulnerability in the cheetah. Science. Vol. 227 (4693). 1428-1434. Parham, P. (1999). Virtual reality in the MHC. Immunological Reviews. Vol. 167. 5-15. Five Must-Do Adventures in the Guanacaste Region of Costa Rica! This summer I had the amazing opportunity to visit the Guanacaste region of Costa Rica, which is the upper northwestern section. Flying into Liberia is a breeze with an easy pick up of a rental car from Dollar Rent-A-Car. Mind you, we have tried other rental businesses but Dollar has always given us the fairest price without surprising us in the end with a whammy of a bill...what we were quoted is what we paid in the end. My thirst for wildlife encounters was quenched almost immediately...I mean, hello toad! Ummm...can we drive away now? These common toads, can get pretty large...nothing like I've seen lately in Chicago. ONE Our first adventure on our very first day was to head to the Bijagua Ranas natural observatory. It's apparently a family-run operation, is somewhat small, but affordable and definitely worth the drive for all of the creatures that you see living on this area of land naturally. As you may or may not know, this summer I was lucky enough to have the opportunity to visit the land down under through my Master’s grad coursework through the Project Dragonfly program!To be honest, I could not believe I was actually going to follow through on this trip while I was thinking of the high cost, the long flight, oh my!This trip had been a lifelong dream of mine, ever since I had read about Meggie and Ralph and seen the TV mini-series The Thorn Birds.It was from that moment forward that I had been crazy about this unique continent, both with its genuine, fun people and it’s unique environments and wildlife.